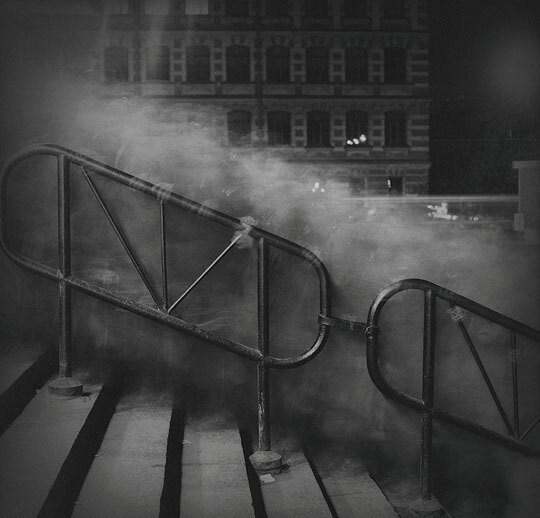 Born in Leningrad (St. Petersburg) in 1962, Alexey Titarenko has devoted his life’s work to depicting the atmosphere and inhabitants of his beloved city. 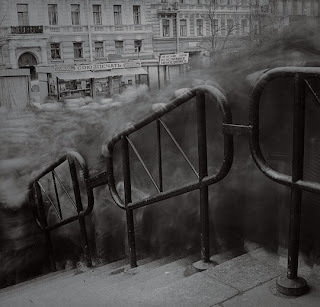 Titarenko draws his inspiration from the music and literature he’s loved since childhood, and his long walks through the city filled with lines of tired people standing in stores, wandering through flea markets, or crowded around subway entrances. The new post-Soviet era required new forms of expression that could serve as the visual equivalents of the new social and political reality, characterized by the anxiety-laden, gloomy period of economic catastrophe following the empire’s collapse. All in all, Titarenko gives us an empathetic depiction of this transition: when old values are being discarded and new values, in the process of formation, are in doubt. 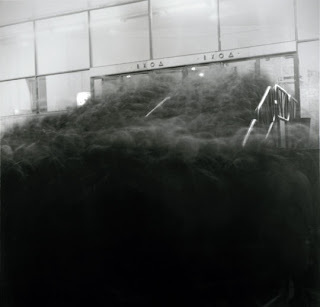 While the artist utilizes nineteenth century techniques such as prolonged exposure, he is constantly searching for new possibilities। As a result, Titarenko has developed a unique style, “metaphorical photography,” defined by the third dimension, that of time. By translating time into a purely photographic language, he exposes the frailty of human existence and reveals those precious moments in life that move our soul.